This tower will have eight different floor plans. 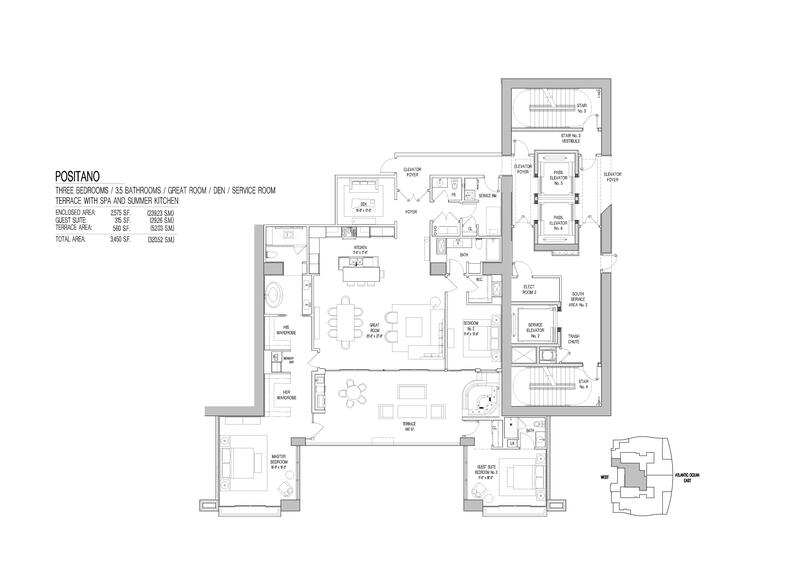 The Milano will feature four bedrooms and four and a half bathrooms. 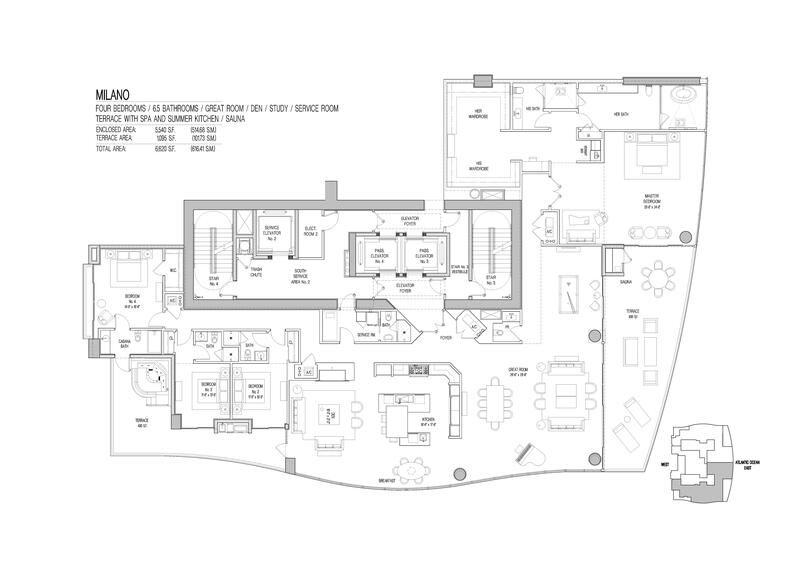 The Milano Grandiose has six bedrooms and five and a half bathrooms. Milano Superiore features five bedrooms and seven and a half bathrooms. Toscana offers three bedrooms and four and a half bathrooms. The Toscana Classico has four bedrooms and four and a half bathrooms. 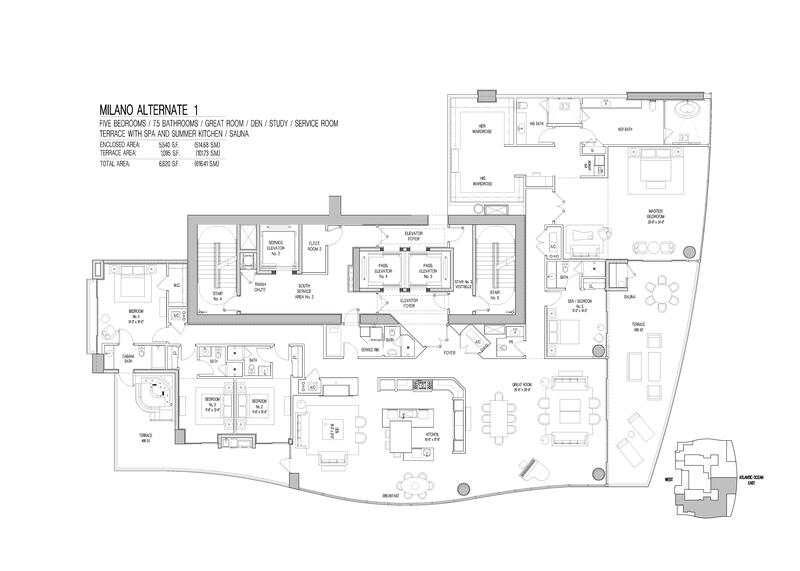 All of the aforementioned floor plans also have a grand salon, family room, spa, sauna, and summer kitchen. This tower has 11 floor plans. Donatello offers three bedrooms and five and a half bathrooms. Donatello Superiore has four bedrooms and six and a half bathrooms. 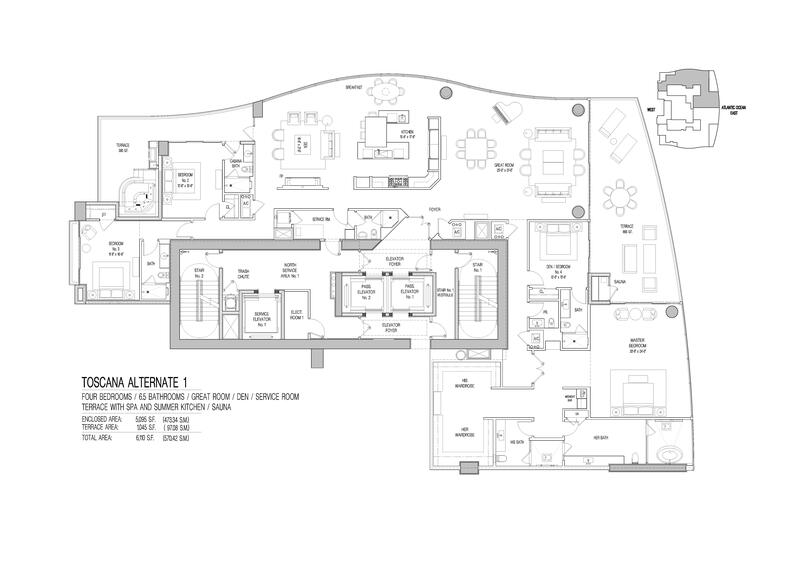 Both of these units feature a grand salon, family room, sunset lounge, a spa, sauna, summer kitchen, and a service room. Uffizi has three bedrooms and three and a half bathrooms. The Uffizi Superiore has three bedrooms and four and a half bathrooms. 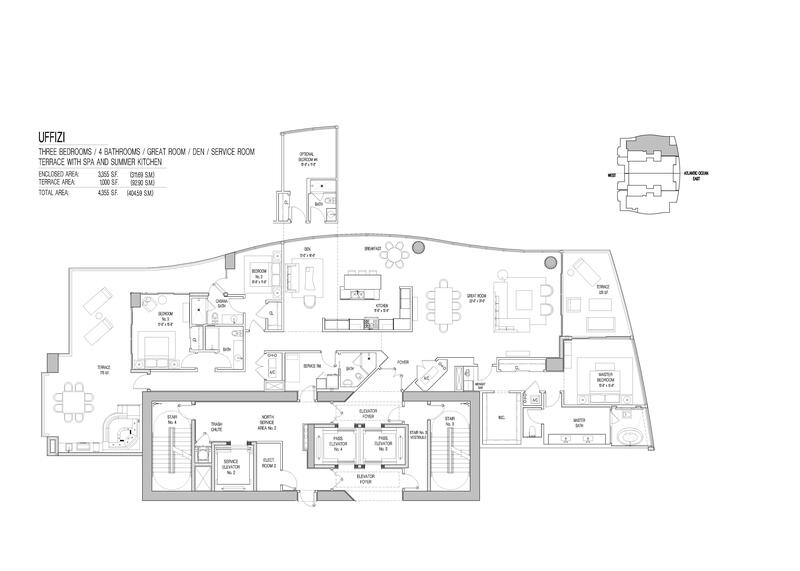 Both of these floor plans feature a grand salon, family room, spa, and summer kitchen. 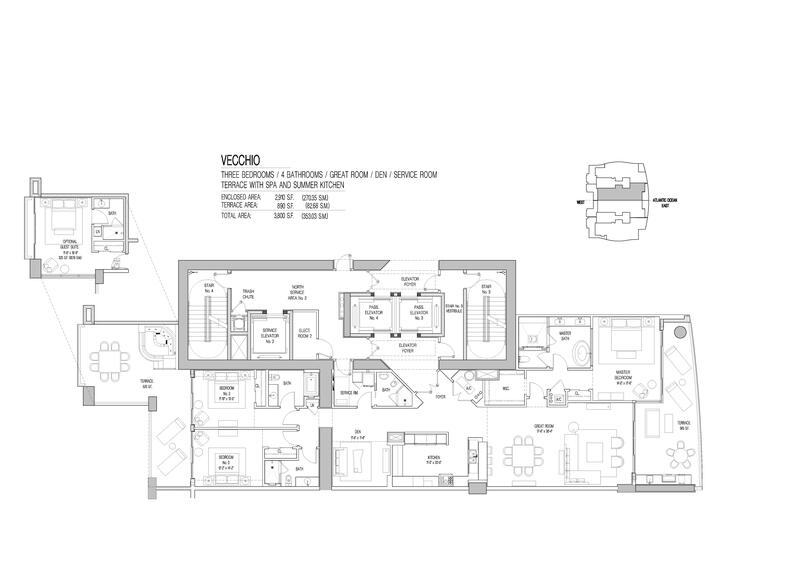 The Vecchio floor plan features three bedrooms and three and a half bathrooms, along with a grand salon, den, spa, sauna, and summer kitchen. 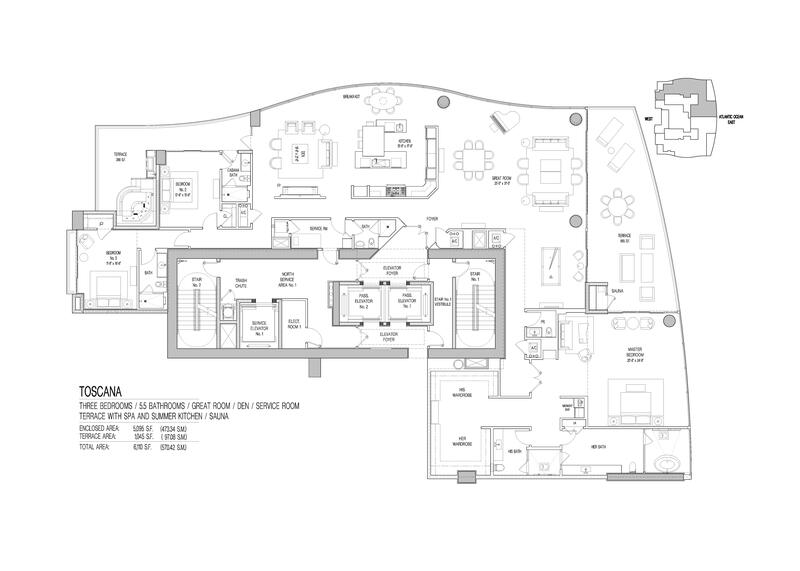 The Casa Di Sabbia floor plan offers six bedrooms and seven bathrooms. It has a grand salon, family room, sunset lounge, breakfast area, private elevator, and service room. Casa Di Sogni is a tower suite that offers four bedrooms and six and a half bathrooms. Casa Di Botticelli is a tower suite with three bedrooms and five and a half bathrooms. 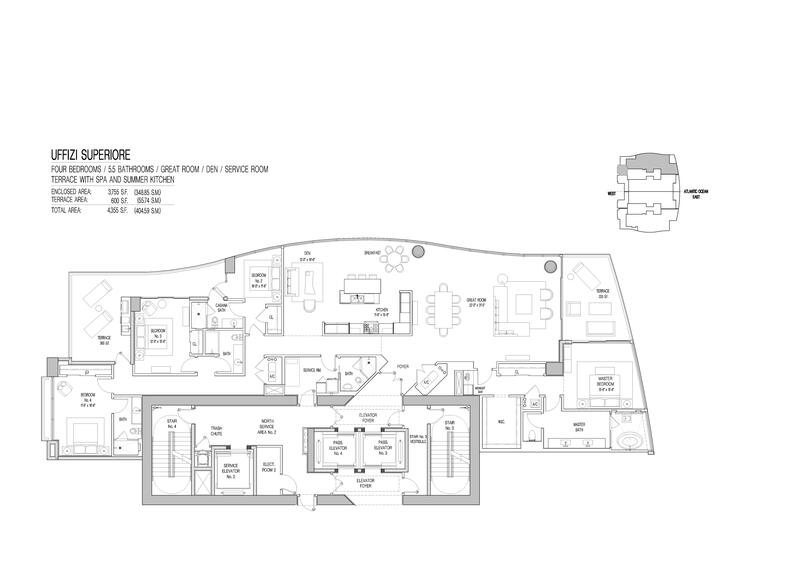 Both of these floor plans have a great room, family room, breakfast area, pool, spa, summer kitchen, and service room. Casa Di Oceana is a gorgeous penthouse that will have six bedrooms and seven and a half bathrooms. Casa Di Ricchezze will have six bedrooms and eight and a half bathrooms. 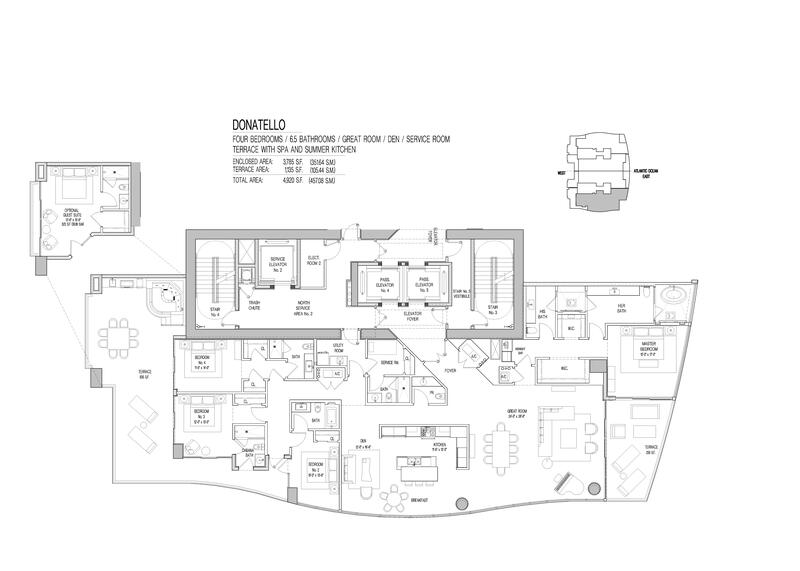 Both of these units will feature a great room, family room, dining room, den, breakfast area, wine storage, private elevator, pool, summer kitchen, service room, and exercise room. Contact Lana Bell and her team to learn more about the floor plans and units when they are available.